When you want exciting fishing and a full catch, there’s nothing better than Buoy 10 salmon fishing. Buoy 10 is more than just a shipping marker. It marks one of the best places in Oregon for robust hatchery fishing anywhere on the Columbia. 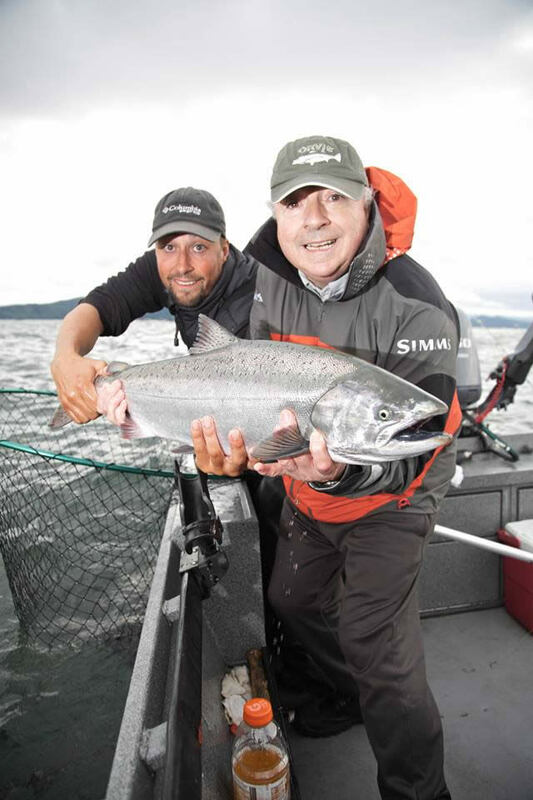 Located in gorgeous Astoria, Buoy 10 salmon fishery is world renowned and draws sport fishers from across the country. This is a fantastic spot for old pros and those just learning the art. With an incredible hatchery fishing season beginning in July there’s thousands of fish fattening up for a long trip up the Columbia. We’ll show you where and how to catch the biggest salmon in Buoy 10! 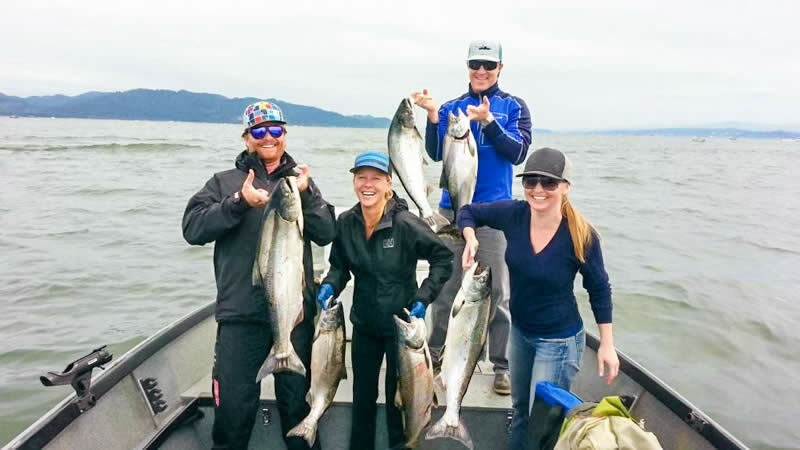 Lewis and Clark Guide Service is Oregon’s leading locally owned and guided Buoy 10 salmon fishing charter service. Get ready for the Buoy 10 fishing trip of a lifetime. Tracking the tides and analyzing fish runs and river currents over a fishing career that spans decades has made him one of Oregon’s most respected Buoy 10 salmon fishing guides. Buoy 10 salmon fishing in Oregon varies according to when the salmon arrive. Trips typically operate starting in August and ending in September. Depending on the salmon, we’ll begin fishing for Coho and Chinook earlier or later than usual. With half day and full day Buoy 10 fishing trips available you’ll get Buoy 10 fishing your way. We provide all the equipment you’ll need to fill those tags with rods, tackles, and reels from Shimano, Shortbus Flashers, and G. Loomis. Just don’t forget to bring these important items on your guided Buoy 10 salmon fishing trip. One of the most cherished lessons Jason’s grandfather ever taught him was the joy of passing down knowledge. Buoy 10 fishing in Oregon isn’t as exciting without friends, and we’ll teach you everything you need to know to catch a gorgeous Coho or Chinook salmon. 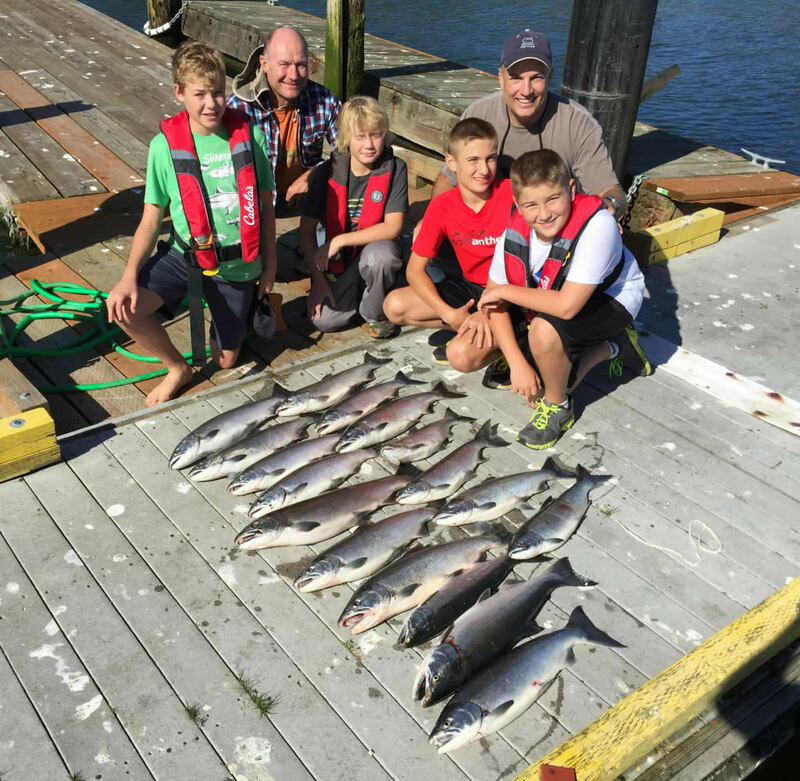 As your Oregon buoy 10 fishing guide, Jason will teach you how to catch Buoy 10 salmon like a professional. With an abundance of bait available just off the mouth of the river, salmon use it as launching pad. This is where they fatten up for their long migration up the Columbia River. Once conditions are right the salmon continue on to their spawning ground. Jason knows when the fish run, and where they rest before they do. That’s why our Buoy 10 fishing charters frequently catch some of the largest hatchery salmon on the river. Keeping up with the tides is essential when fishing the Buoy 10 fishery. Mid-August the Coho typically start showing up and the run continues through mid-September. When you want fast action fishing and easy limits this is the fishery for you. August books up quickly, so when you’re ready to experience true Oregon buoy 10 salmon fishing gaining stories, skills, friends, and some incredible catches call (503) 858-2699 or Contact Us today. What do you want to fish for? Your Oregon Fishing Guide in Garibaldi, Tillamook, Astoria, Nehalem and surrounding areas! © 2019 Lewis & Clark Guide Service. All Rights Reserved.